Your HUNT is over on HUNTER! 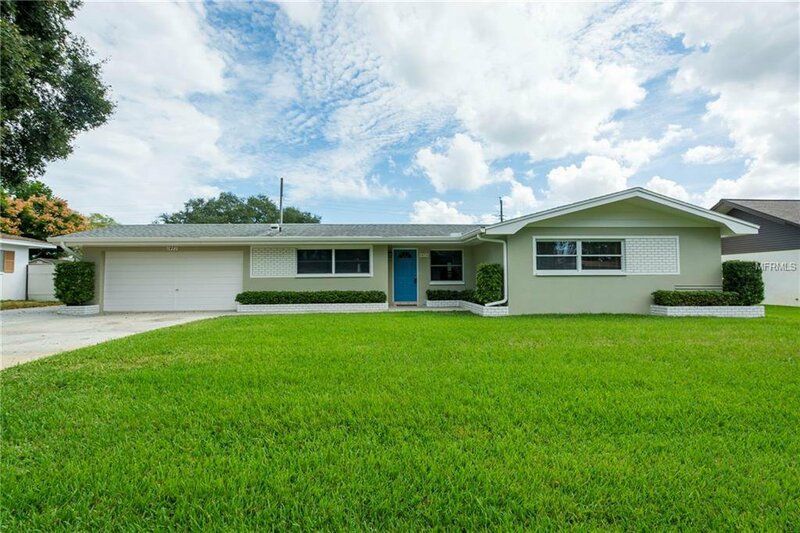 What a great house tucked back on a winding, shady street in the heart of Clearwater! Newly renovated throughout! Outside has a lush green yard, has been freshly painted, and has a dimensional shingle roof, plus new A/C! Driveway with extra parking pad plus boat or RV pad behind gated fence! Step inside to a wide open floorplan that includes both a living and family room! New grey wood laminate runs throughout the living areas! Freshly painted interior also! Arched entry's into family room/den complete with stone fireplace! New lighted fans and fixtures throughout! Stylish new kitchen with new cabinetry, thick granite counters, stainless steel appliances, and tile backsplash! Bedrooms have new carpet and blinds on all the windows! Updated windows throughout the entire home! Master bedroom has its own bathroom! Master bathroom has freshly glazed tile & shower! Guest bathroom tile also newly glazed plus a new granite vanity, sink, mirror, and lighting! Inside laundry room with W/D hook-ups! Painted garage floor! water softener (sold as is)! HUGE 350 sf covered screened patio with new indoor/outdoor carpeting is the perfect spot for outdoor living and entertaining! PVC fenced backyard large enough for pets and play! Great house in a great neighborhood! Listing courtesy of RE/MAX REALTEC GROUP INC. Selling Office: FUTURE HOME REALTY INC.